The following hotels are located within close proximity to the golf course. 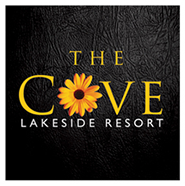 British Columbia's lush Okanagan Valley is made for memories and the ones you create at the Cove Lakeside Okanagan Resort Hotel will last forever. The Holiday Inn Westbank, British Columbia. Located on Kelowna's Westside in the heart of the Okanagan Valley, this hotel features spacious guestrooms with full amenities. Conveniently located within minutes from beaches, wineries and ski hills. Specializing in creating custom Kelowna and Okanagan golf packages.